A Good Ol’ Fashioned Record Store! Concert Posters • New & Used Vinyl CDs, DVDs & More! Living History Walking Tours Summer weekends, downtown PT. Olympic Music Festival June 28 - Sept. 7, near Quilcene. PT Farmers Market Uptown Saturdays, May 3 - Nov. 15, Wednesdays, June 11 - Sept. 24 PT Marine Science Center Ongoing programs, exhibits, lectures, cruises, and camps for adults and children. is published annually by The Leader. Casually elegant and family friendly. Port Townsend is the perfect place to spend a day or a weekend. Just a short drive from the "mainland," you can easily get here by driving around via Tacoma and Bremerton or hop on the Bainbridge or Edmonds ferries. * Not on the map, but worth the trip. Look us up on the web! 215 Polk St. Distinctive hotel suites located in the heart of downtown. ANTIQUES and COLLECTIBLES O4 THE ANTIQUE MALL 15,000 sq. ft. with 48 dealers. Nautical, artwork, jewelry, eclectic and collectibles. theartmine.com 310 Hadlock Bay Rd. Visit as a museum and find a treasure to call your own. Featuring the finest of American arts and crafts since 1977. 13 WILLIAM’S GALLERY A gallery of fine arts and crafts from around the world. Highly figured Northwest woods, handcrafted by local artists. Fueling your creative fire since 2005. Organic espresso. Women’s and children’s clothes, shoes, accessories and gifts. Fine fibers for knitting, spinning and needlepoint. Local needlepoint canvases! Where local cyclists go for sales, rentals, service, trail info. We are committed to providing our guests with delicious dishes in a romantic atmosphere. 19 MONSOON A retail store offering fair-trade and sustainable products and education. MARITIME 39 NW MARITIME CENTER AND WOODEN BOAT FOUNDATION Boats, library, ships chandlery, sailing programs for youth and adults. A well-stocked kitchen shop for the serious or occasional chef. An old-fashioned record store. Posters, vinyl, CDs, DVDs and espresso. Self-service dog wash (Behind Pet Town). Closed Tues. and Wed.
SERVICES 43 FIRST FEDERAL UPTOWN BRANCH Change your bank. Change your community. Making a difference. Together. Petals creates inspiring floral bouquets and carries a variety of unique gifts. Taking our customers by surprise since 2003. Unexpected, retro and fresh. 45 FRAMEWORKS Custom framing, fine art prints and excellent customer service. Auto, health, life, boat, disability, usiness, flood, homeowner and earthquake. Personalized service since 1950. Auto, home, business, marine, life and health. 50 THE UPS STORE Digital printing, notary, faxing, copies, supplies, shipping, packaging. Close to ferry. We’re located across from the ferry dock. Pretty cool spot. 51 PUGET SOUND EXPRESS Day trip adventures to the San Juan Islands, whale watching included. SPORTING GOODS 52 SPORT TOWNSEND Clothing, footwear, gear, maps for your travel and outdoor adventures. 53 SWAIN’S OUTDOORS Your Olympic Peninsula outlet for fishing, hunting, camping, outdoor and work clothing and more! Upstairs at Aldrich’s Market 940 Lawrence St.
57 WILD SAGE World teas, tonics and herbs. Supreme full-leaf "Tea Haven." Fresh NW seafood. Waterfront dining and cocktail lounge. Accommodations, too. Fine dining at its best. Live jazz and comedy shows. Best Japanese food in Jefferson County. Across from the ferry dock. 62 KHU LARB THAI Traditional & nouvelle Thai food. Serving Port Townsend since 1989. Fresh seafood & hand-carved steaks. Late-night dining, Mezzaluna Lounge. Breakfast, lunch, pastries and espresso. Wine/beer. Special events. Casually elegant, Port Townsend style! Fresh seafood and full-service bar. 69 T’S RESTAURANT Fabulous food - local and organic. Full bar, great friendly service. 70 TYLER STREET CAFE Pastries, croissants, quiches and gourmet coffee. Soups, salads, sandwiches. Sunday brunch. 71 UPSTAGE RESTAURANT & THEATRE Casual dining, renowned entertainment, Northwest & Mediterranean fare. Indoor & patio dining. 72 UPTOWN PUB Great pub fare with local atmosphere. Go where the locals go! 360-379-1222 pasta, WiFi & live music. 823 Water St. Enjoy delicious coffee, teas, pastries. Experience local musicians, authors, artists. Greek food mobile vendor. Rotisserie cooked gyros, falafel, salads, baklava. Winner of the Best Breakfast Award for 11 years in a row. Not located on this map but well worth the drive! Gifts, music, clothing, weddings and jewelry with a Celtic flair. Baking artisan bread. Traditional Viennoiserie. 7 days a week. Uptown location. ourfirstfed.com Upstairs at Aldrich’s Market 940 Lawrence St. The original NW sustainable shop for costeffective design, printing, copying and mailing. In depth. In touch. Independent. Invitations, napkins, stationery, etc., personalized right here! Cards and gifts. A melange of aroma and color for en’light’enment and well-being. Unique treasures, accessories and gifts for home and garden. Also on Bainbridge Island. Vitamins, skin care, gifts. One-stop shopping for health and beauty. Recycled, vintage, contemporary and costume consignments. Locally made Whimsical Wear. Asian goods for personal and home improvement. Vintage nautical, too! New trendy jewelry, furniture, women’s and kids’ clothing; most clothes $5. Group classes, Precor® equipment, sauna, Jacuzzi, racquetball and more. Hatha and energizing flow vinyasa. Massage and bodywork. Reservations Welcomed 2330 Washington St.
Women’s clothing to love by Foxcroft, NYDJ, French Dressing and Produce. An elegant, upscale salon downtown with full professional spa services. Quality reclaimed clothing, accessories and other treasures. Clothing made from vintage fabric; hand-picked treasures from Paris. We carry king, queen and twin quilts, notions for quilting and crafts. Facials, lash tinting, manicures, pedicures, eyebrow shaping. Jane Iredale and Cellex C.
Fine contemporary handcrafted jewelry, beads and treasures. Colorful paintings, prints, cards and children’s books. An artist cooperative, voted the best gallery in Jefferson County. Exhibitions of contemporary art around a core of fine jewelry. Fresh studio rooms and attractively appointed cottages overlooking the marina downtown. rainshadowproperties.com Monroe and Water sts. Three-story contemporary art gallery. Located at The Inn at Port Hadlock. Restored Victorian hotel located in the heart of downtown. 360-385-9708 Fresh homemade ice cream made on the premises for 31 years! elevatedicecream.com 627 & 631 Water St. 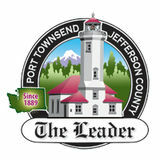 The Port Townsend & Jefferson County Leader's 2008 Insider Map to shopping and businesses in Port Townsend, WA.